HSRP | CCIE, the beginning! HSRP provides router redundancy by making one router active and the other one standby, the latter will be used when the active cannot afford traffic forwarding; however, this doesn’t allow optimal utilization of network infrastructure resources. Multiple HSRP groups allow the use a router as standby for one group and active for another group and vice versa: the active router for one group will be the standby for the other group. In this lab (Figure1) R2 an R3 are used for HSRP redundancy, both routers are connected to the switch SW (through trunk interfaces) that connects both VLAN10 (R10) and VLAN20 (R20) devices. Using DHCP service, hosts within each VLAN learn the corresponding default gateway: 192.168.20.1 and 192.168.10.1 for VLAN10 (192.168.20.0/24) and VLAN20 (192.168.10.0/24) respectively. Depending on the size and the complexity of the network, this task require a particular attention to coordinate between DHCP administration and HSRP tasks like adding or deleting VLANs or change in virtual IP address. – R2 upstream interface failure. R2 will be the active gateway for VLAN 20 (default priority=100) and the standby gateway for VLAN 10 (configured priority of 50). R3 will be the active gateway for VLAN 10 (default priority=100) and the standby gateway for VLAN 20 (configured priority of 50). For both VLANs preempt timer is set to 60 sec to give the switch (distribution/access layer) the time for STP convergence, so the layer2 path will match layer3 path. VLAN10 traffic takes the path through R3 as transparently decided by HSRP. VLAN20 traffic takes the path through R2 as transparently decided by HSRP. After 1 second (holdtime timer expired) R2 consider R3 down and become the Active router for VLAN10. Because the only router available in the HSRP group 10 is R2 the local, there is no “standby” router. 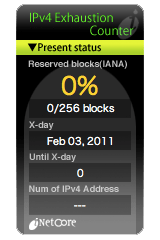 Though, the virtual IP and MAC are the same from the client standpoint, the path taken has transparently changed, now it is forwarded through R2. Nothing has changed for VLAN20 where it is still forwarded through the active gateway R2. Now R3 is back to live and because preempt is configured it will try to get back its status of “Active” and send hello message to the actual active router with its priority. After preempt timer expiration, R3 took back the active role by winning the election with its priority of 100 as against 50 for R2. Now VLAN traffic is back to his initial path through R3. In this a failure of R2 upstream interface f0/0 is simulated by shutting it down. After the “penality” given to R2 (priority-60) the standby router will win the election with its priority 50 and become active for VLAN20 too. R3 now the gateway for both VLAN10 and VLAN20. Note the difference between the two consecutive outputs of “trace route” command, in the first, the switch SW did not updated its ARP table and still forward VLAN 10 traffic to R2 and only the routing table is redirecting it to R3. In the second output the switch has received “Gratuitous ARP” carrying the new ARP information, so to forward VLAN 10 traffic directly to the new gateway R3. VLAN20 takes its usual path through R3. R2 f0/0 is now back to live. No changes in the VLAN 10 path. Note that from the first time HSRP has been configured and throughout all undertaken tests the gateway IP address and the MAC are the same in all VLAN client nodes, independently of who is the active or the standby router. In fact, multiple HSRP doesn’t provide a perfect load balancing, it will depend on the bandwidth produced by each VLANs, rather it provides a separate VLAN-based redundancy.